After getting home from Minsk and spending the rest of that week in the office being even more behind on things than usual, I needed to recharge my mental batteries, so without really thinking about it, I gave myself an Artist’s Date, a la Julia Cameron’s The Artist’s Way. 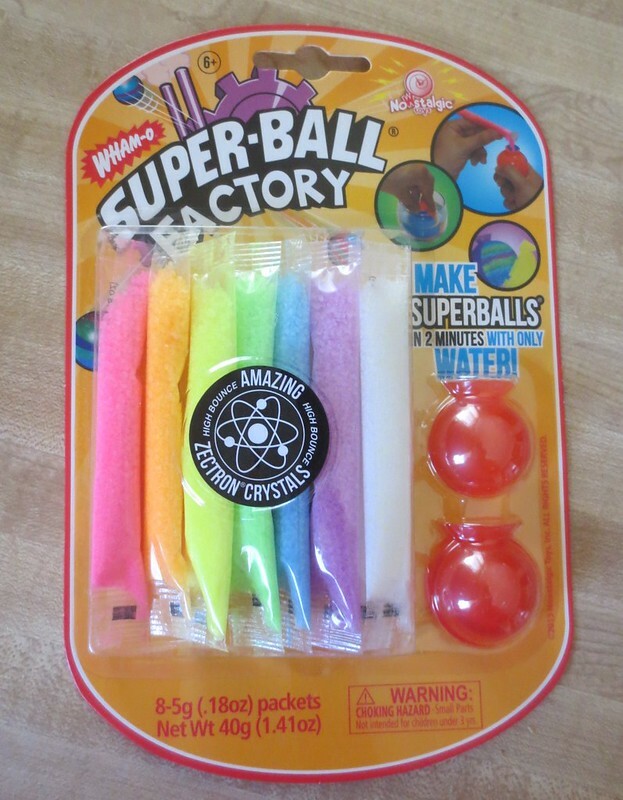 Out running errands that weekend, I came across a display of Wham-O Super-Ball Factory kits. The bright colors drew me to the rack, and since I have a small collection of superballs, I was intrigued by making my own. For less than five dollars, I figured I’d try it. 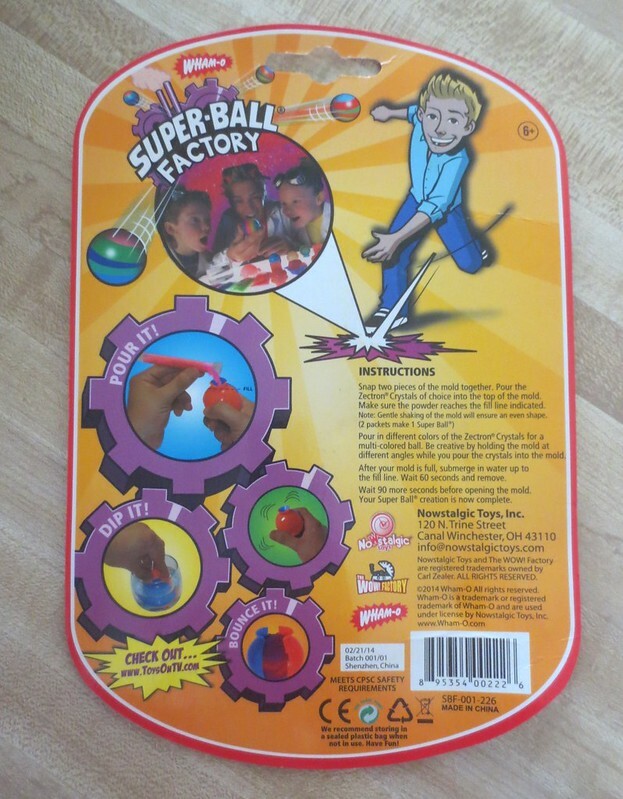 The directions were simple enough: assemble the mold, pour in the “Zectron Crystals”, hold the mold underwater for two minutes, take it out and wait another minute, then snap apart the mold to reveal a newborn superball. 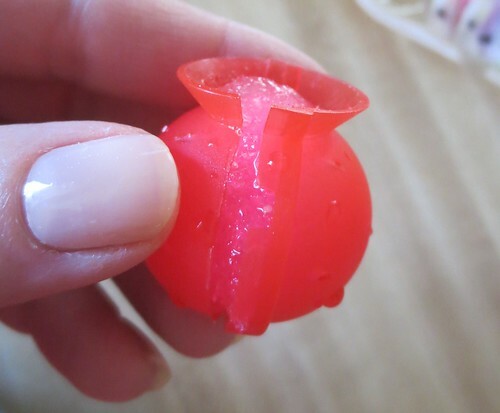 On my first attempt, I overfilled the mold, leaving me with a ball with a couple of less than rounded spots, one where the open top of the mold was and one along the side where the force of the expanding crystals popped the mold halves apart. I was able to make it mostly spherical by scraping off the protruding bits, and it still bounced okay. My second ball was better than my first, and my third was even better than that. 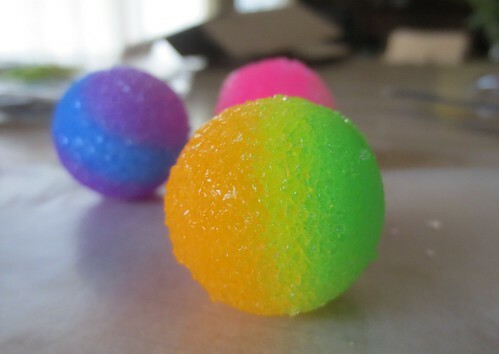 I had fun combining the colors of crystals and fun bouncing the balls around my kitchen as they came out of the mold. The kit said it would make four balls, but I got five out it. My last one was more oval than round as I used up the last of the crystals and really overfilled the mold, but that’s okay; it was interesting to see how the crystals behaved where they oozed out of the mold into the water. I had so much fun playing that I went back and bought a couple more kits the next day. I wish I’d waited, though, because what were bouncy balls when they emerged from the mold got less and less bouncy in subsequent days as the crystals dried out. Now I’ve got five colorful round rock-like objects that don’t bounce at all. The process was fun, but I sure didn’t end up with superballs except in the very short term. As an Artist’s Date, it was good, as I got to take time out from my to do lists and just play.